US Army Pvt. 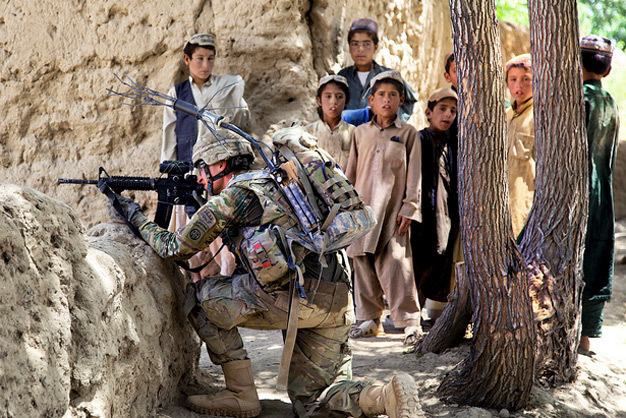 Zakery Jenkins, front, with Charlie Troop, 3rd Squadron, 73rd Cavalry Regiment, 1st Brigade Combat Team, 82nd Airborne Division, provides security in Mush Kahel village, Ghazni province, Afghanistan, on July 23, 2012. US Army photo by Spc. Andrew Baker.